Teja April 05, 2018 Home Decors, Online stores, Where to buy? Prayer and worships form an integral part of my daily life. A separate corner or separate room which is meant only for the prayers or worships is one of my requirements for a well balanced house. I usually find peace and solitude when I open up myself in front of the different forms of the Almighty. 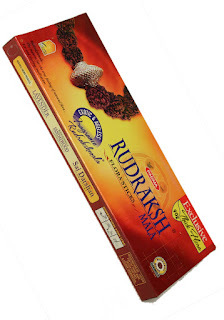 So when I moved to my new apartment, I was continuously searching for some good puja accessories which would create a spiritual ambience yet be easily available and utilise less space. Here I have listed the puja items which I think would help the others in getting an overall view about the must haves for decorating the puja ghar. The main focus of the Puja room are the idols and you cannot place them on the floor. The altar or the Puja Mandap is the place where the idols are kept. I personally recommend a placing the deities in the Mandir. A Mandap or a Mandir is a pyramid shaped house like structure where you can accommodate all your idols. But if the scarcity of space doesn’t allow you to to for one, you can always use shelves as the alternative. 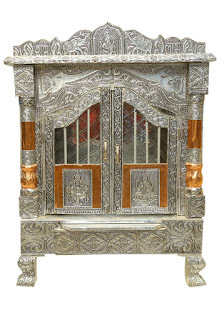 Mandaps are made up of different materials like wood, which are are carved with intricate designs. Also there are marble ones and the ones made from metals. I have places my Mandir against the wall of my pooja room at the centre. Once you have set up the Mandir, its time for you to arrange your idols so that you can worship them properly. Choose according to your faith but be careful not to clutter them in one place. An over crowded space not only hinders the flow of positive energy but also hinders your Puja rituals. The best direction for the idols to face is the North east one. 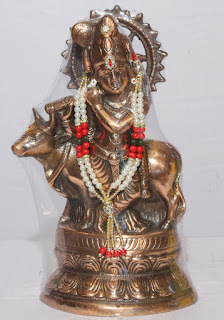 I believe in all gods, therefore have kept statues of Lord Krishna with a cow , with Radha rani at his side. A picture of Hanuman ji, a stone Shiv ling, a murti of Maa Durga, a Ganesh idol . These idols come in different sizes and are made of variety of materials , like high standard brass which shine like gold, stone carved ones and clay made ones with stone settings. Light and fire are considered to be sacred. Therefore a Puja room should be very well lit. Lighting is one of the most important features of a Puja room. I took time to choose proper lighting accessories as it will pay off in creating the ambience and mood of serenity. You always do not have to spend a lot on the lights. Just add a few candle holders and candles for the quite and calm atmosphere . Since the Mandir is at the centre of the room, it should be lit up with soft warm yellow lights from the backdrop and from the base. Golden lights usually blend with the soft ambience of the puja room as this colour is commonly used here, as well as with deities adorned in gold. Candle holders made out of blown glass infused with metal in them look very nice. I have also used bright floor lamps. My Pooja ghar us well lit with these round globe lamps sitting stably on the floor. Using ceiling lamps can also be a good idea. The soft light coming out these can create your perfect meditative mood. Using lights with different patterns cast around is also a very good idea for bringing out the spirituality of the room. 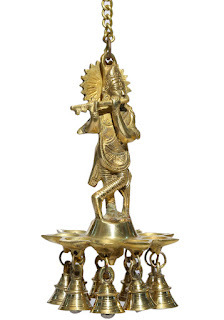 Also if you want you can use traditional hanging brass lamps lighted with oil and Wick. If they are not available then go for the duplicate electrical ones. Diyas made up of clay, brass and stone can also be used. The puja room must never be left dark. After sunset be sure to light up the room with a soft low light. The next item that I have incorporated in my pooja room is a Kalash and Panchapatra. A Kalash can be made up of copper, steel or clay. 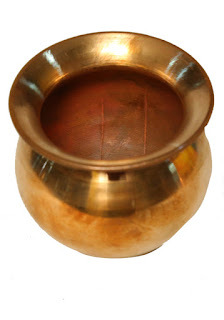 First of all you will have to clean the pot and the five mango leaves known as panchapatra and fill the pot with clear water and place the mango leaves onto it’s mouth. An inverted coconut is kept on the leaves. Then the Kalash is decorated with the Swastik symbol. 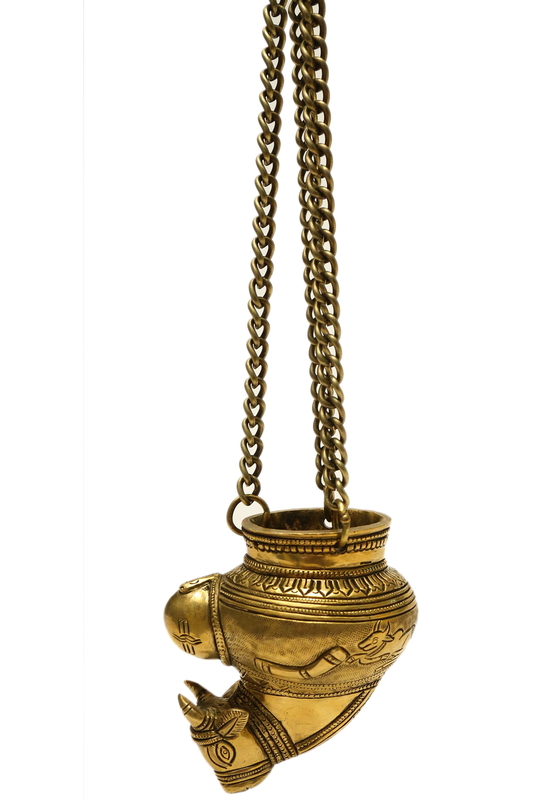 Apart from beautification, the Kalash serves as the seat for invoking the deities and forming a positive aura . If you are running short of time and resources, then you can go for the ready made ones. The pot, plastic leaves and the artificial coconut come in a set. 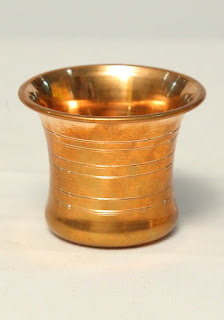 You can also opt for copper Kalash , panchapatra and coconut. The puja Thali can be made of different materials like copper, brass and steel. Differently coloured thalis with gem stones studded are also available in the market. Thalis also come in different shapes and sizes including lotus shaped ones to round ones. I bought a Thali with minakari works and vatis. You can opt for a single thali or you can go for small thalis for each deity. Choice is yours. 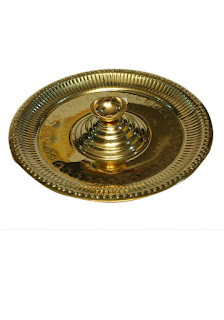 A single thali can used for placing the diya and the prasad also. 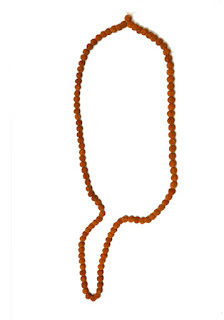 You can also keep a little Kumkum for the tika purpose. My personal collection has both. My puja is incomplete without the invigorating scent of the agarbattis. The intoxicating fragrance emitted by the agarbattis remind me of some orchard filled with different flowering shrubs with their wild fragrances wafting in the air. Lightning the incense sticks give my puja room a natural garden like atmosphere. 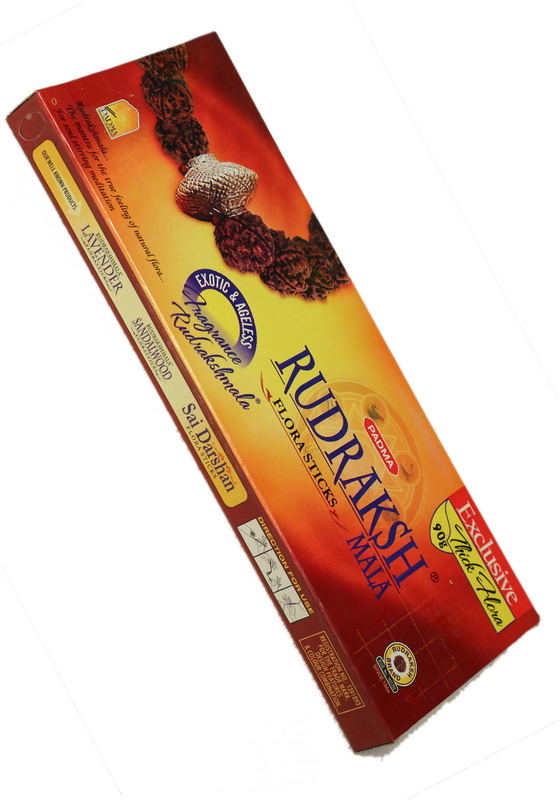 Their fragrance transcend my senses to another world and help me concentrate on my puja. 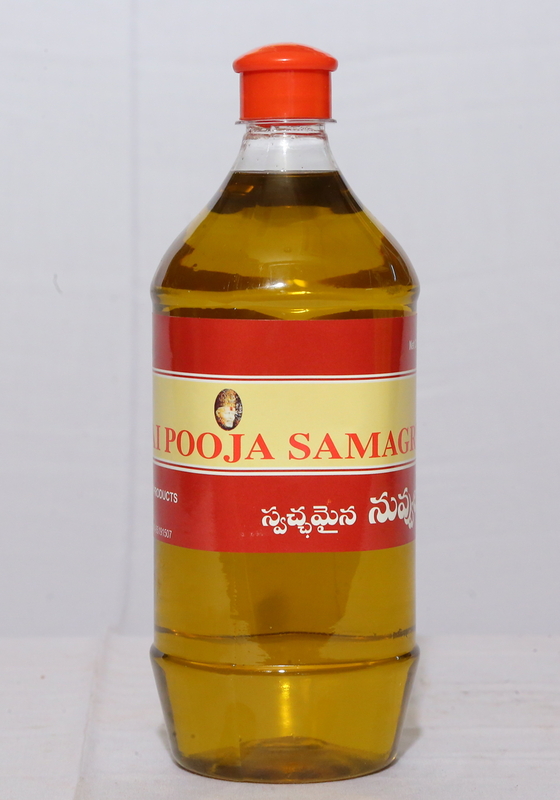 You will get different scented sticks in the market like sandalwood, jasmine , Champa etc. 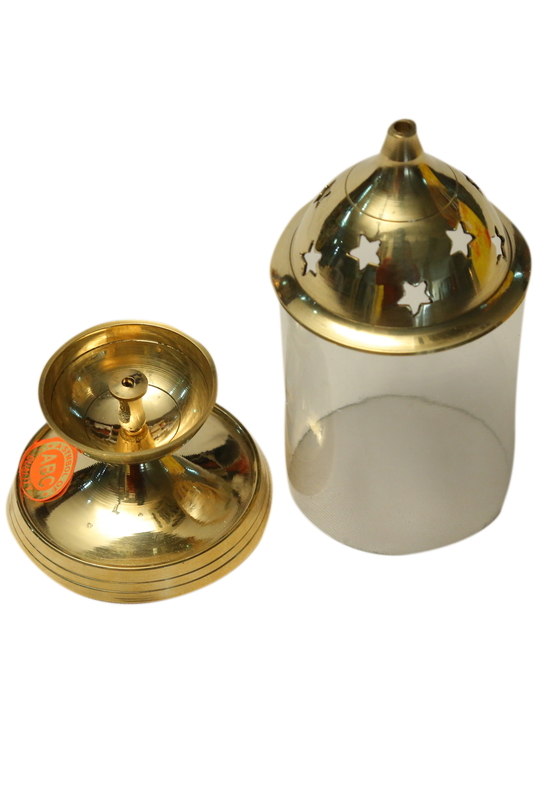 Hold-lets for holding incense sticks made of brass, stone with minakari works are available in the market. Hold-lets hold the incense sticks in place , also they prevent the ashes of the sticks from spreading here and there. Getting garlands of fresh flowers is a tiresome job for me. Also it is not easily available round the the year. A smart alternative to it are plastic or artificial flower garlands. They remain colourful for a very long time. Just wash them occasionally , dry them and out them back round the deities ‘ neck. They also save your job of buying garland on a regular basis. I have got a number of them. They come in different designs and sizes. Bells form an important part of my Puja rituals. 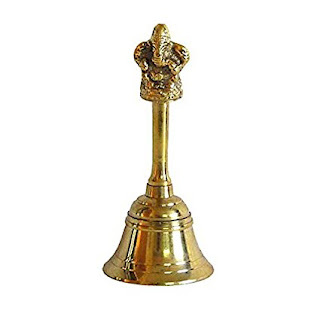 Be it the morning Puja or the evening aarti, the bell is a must for me. But the bells can be used for décor also. 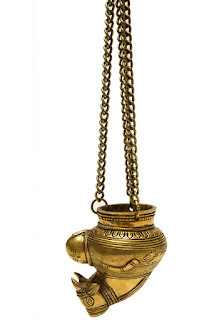 Brass bell can be hanged from the ceiling of your Puja room or from the tip of the Mandap to give the room a temple like look. I personally prefer hanging the bells by the door of my Puja room , so that whenever I enter or leave I can touch them and they tinkle. Nice isn't it? Traditional stencils on the walls of my Puja room , give it a very spiritual look. As soon as you enter my Puja room your attention will be arrested at once by these stencils on the walls as a backdrop with intricate flowery designs. They are also available with motifs of gods and goddess. You can choose them according to your wish. If you don’t prefer stencils, you can go in for wallpapers with traditional designs. If you are arranging a yogna or havan then sesame oil and ghee are some of the essential items along with the above mentioned worship products. Rudraksha Mala, spatika Mala, kumkuma and turmeric holders in beautiful floral designs are some of the most essential Pooja items which I need whenever I arrange any worship at home. I design the floor with beautiful designs which are generally made from petals of different colours, spreading an aroma through the pooja ghar. 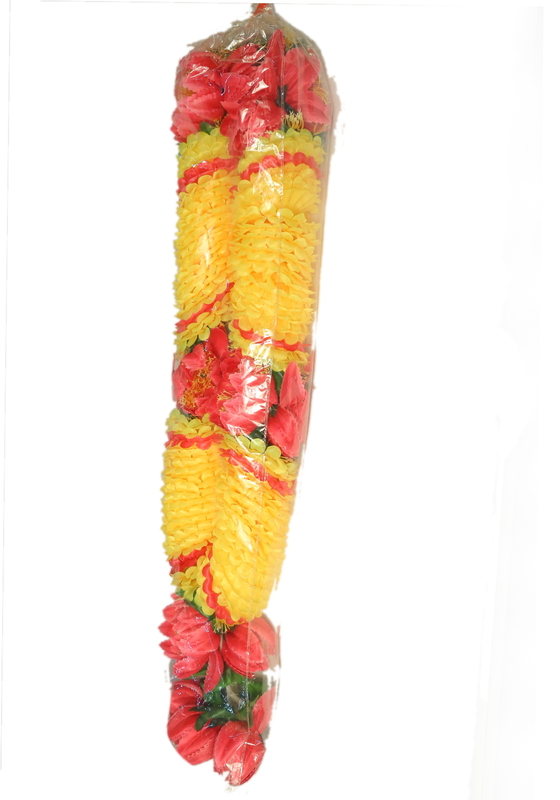 You can also use some decorative hangings of kalash or swastik symbols to beautify your Puja ghar. My pooja ghar has walls of light yellow shade which is in sharp contrast to the Mandap and idols. Also the floor is a marble one with off white colour. You can go in for light shades of yellow and blue to create a soft warm ambience. 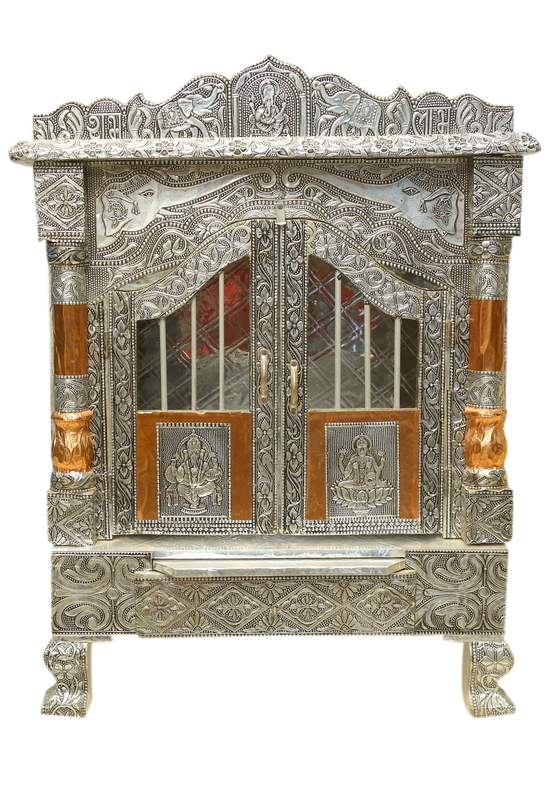 Last but not the least, keep your Puja room best and tidy. Navaratri and Diwali are two favourite occasions which I love to celebrate. Needless to say that my Puja ghar gets its own share of decorations on these special occasions. The antique pieces and specially designed lamps and thalis , holders and conch shells are set aside for these special occasions. Other items that can be used for decking up the Puja ghar are marble kalash, multi level diyas and lamps, antique diyasans, conch shells, customised wooden chowki, chunri, gomukhi kamandalam, Rudraksh mala etc. All set. Deck up your Puja rooms with these small tips and ideas and give a minimalist or a traditional look according to your choice. I try to use these items to give a different look to my pooja ghar every time.